UNIVERSITY PARK, Pa. — The amount and composition of milk produced by dairy cows appear to be more regulated by internal, annual biological rhythms than by environmental factors such as heat and humidity, according to Penn State researchers who studied more than a decade of production records from herds across the country. Although researchers have long recognized an annual pattern of milk composition in dairy cattle — with higher milk fat and protein concentrations observed during the winter and lower levels occurring in the summer — the rhythms of milk yield and composition previously have not been well quantified. He noted that being more precisely aware of their cows’ rhythms allows dairy farmers to better judge the effectiveness of management strategies. 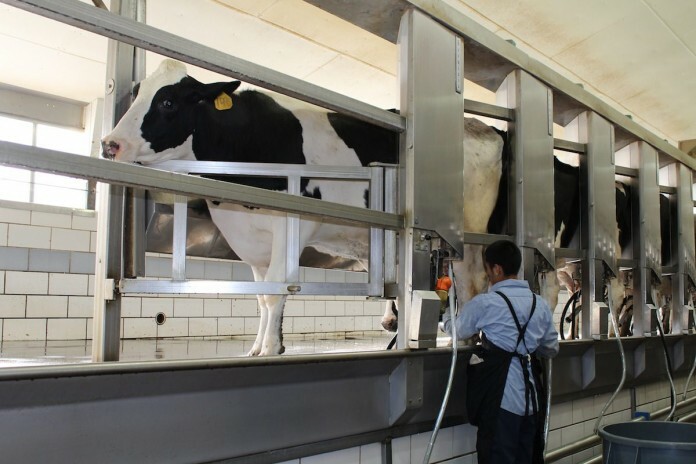 Researchers employed a statistical method used by scientists in the analysis of biologic time series to demonstrate predictable cycles to reveal the annual rhythms of milk yield and milk fat and protein concentration in two large datasets. They analyzed national milk composition information from 2000 through 2015, obtained from the Agricultural Marketing Service of the U.S. Department of Agriculture, and records collected from 1,684 cows in 11 Pennsylvania dairy herds from 2002 to 2011. In general, among all herds studied, peak yield, fat concentration and protein concentration occurred in winter months when days are shorter, and lowest in summer months, when days are longest. And the amplitude of the rhythms — the amount the highs and lows varied from the mean — were greater in the north and declined depending how far south herds were located. “But that remains a hot topic, no pun intended, in the dairy industry,” he said. The findings, published in the Journal of Dairy Science, should help prevent dairy producers from being misled by seasonal milk fluctuations, Salfer explained. This information will allow them to interpret the effects of diet changes or implementation of new technologies on herd performance within the context of the annual rhythm.